The clash between England and Panama will be played at the Nizhny Novgorod Stadium in Nizhny Novgorod on June 24th. The Three Lions snatched a late win over Tunisia, but they shouldn’t have such problems with the Canal Men who are debutants at the World Cup and without experience playing in big competitions. Perhaps harder than expected, England earned three points in the first game at the World Cup as they beat Tunisia 2-1 and justified the role of a favorite at -200, but they almost dropped two points. However, Harry Kane turned out to be a savior as he scored the late winner in the 91st minute and secure a fully-deserved win. Kane opened up the scoring in the 11th minute thanks to his reaction after a rebound in the six-yard box, but the Eagles of Carthage managed to equalize from their first and only shot on target. Tunisia was lucky that Kyle Walker’s lack of concentration and bad positioning led to the penalty which Ferjani Sassi easily converted for the happiness of all the punters who baked both teams to score at +140. England continued with pressure and attacks in the second 45, but the Tunisians defended extremely well until the injury time when Kane was again the quickest one to react to a rebound in the box, and he kept his cool to make it 2-1, so if you backed over 2.5 goals at +129, you can thank England’s captain for your profit. On the other hand, Panama expectedly lost to Belgium in their first-ever game at the World Cup, despite a brave performance and excellent defending in the opening half, which ended 0-0. However, the Red Devils switched to a higher gear after intermission and scored a quick goal through Dries Mertens in the 47th minute, and it was much easier since that moment for the Belgians. RomeluLukaku added a pair of goals for a 3-0 victory, making a profit to the punters who bet on -2 spread at +119. It would be silly not to highlight the in-form Harry Kane as the man to watch on this one as he is in the race for the Golden Boot, so one or two goals against weak Panama can certainly help him to keep up the pace with Cristiano Ronaldo who currently stands at four goals after two matches. Michael Murillo had a great display against Belgium as the right-back successfully defended Eden Hazard for the most part of the tilt, and will have to deal with Raheem Sterling or Marcus Rashford here, so it’s going to be interesting to see Murillo how he’ll cope with the task. England: Pickford; Stones, Maguire, Cahill; Trippier, Henderson, Alli, Lingard (Loftus-Cheek), Young (Rashford); Sterling, Kane. Panama: Penedo; Murillo, Escobar, Torres, Davis; Barcenas, Cooper, Gomez, Godoy, Rodriguez; Perez. England’s chances to lift the trophy in Russia are +1100, while the Three Lions are -200 to make it to the quarter-finals. 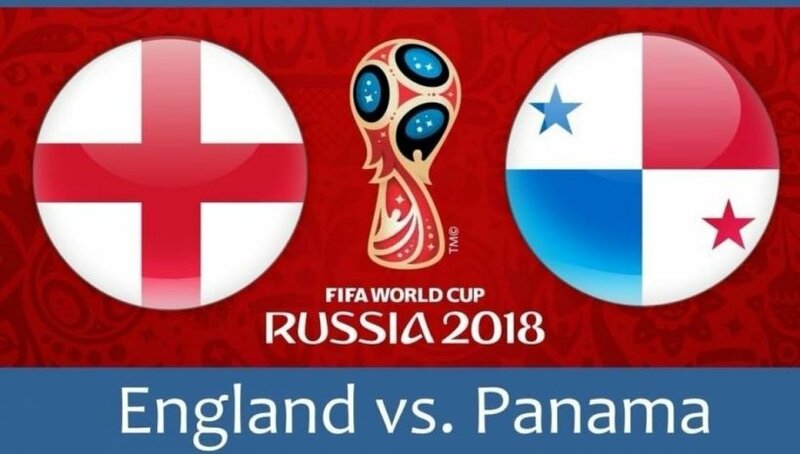 Panama’s chances to win the World Cup are up to +500000, while the Canal Men are +10000 to reach the quarter-finals. England is a huge favorite to win, but the -455 odds are low, so there is no need to risk your stake; however, backing the Three Lions to win by two goals is a much better option because you can almost double your stake.